October 16, 2018 2:42 pm. Sydney filly Greysful Glamour continues her march towards the VRC Oaks in the Ethereal Stakes. With his first Group One win as a trainer ticked off courtesy of Maid Of Heaven’s Spring Champion Stakes victory, Mark Newnham now has his sights on another with Greysful Glamour. The filly won the VRC Oaks Trial at Flemington at her most recent start and will continue the path towards next month’s Group One VRC Oaks (2500m) when she runs in Saturday’s Ethereal Stakes (2000m) at Caulfield. 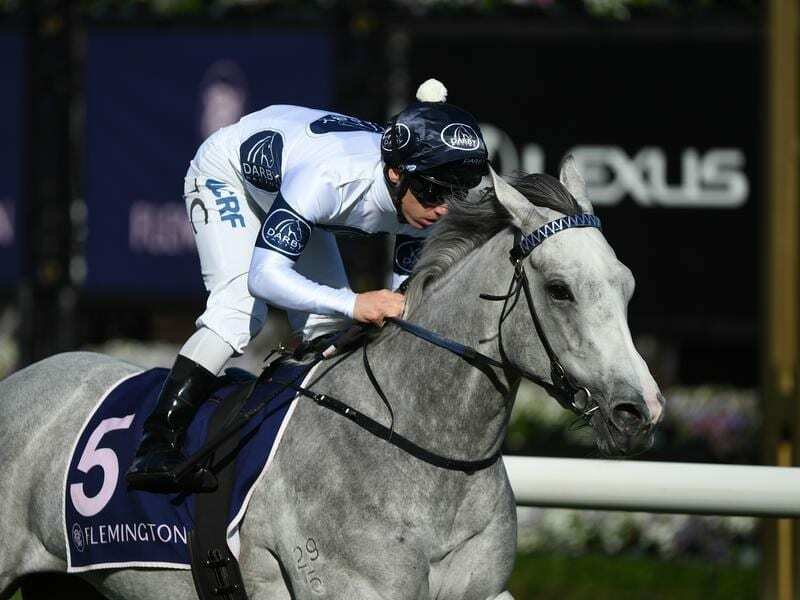 A year ago the Gai Waterhouse and Adrian Bott-trained Pinot won both the VRC Oaks Trial and the Group Three Ethereal on her way to claiming the Oaks at Flemington and Newnham had that in mind when he mapped out Greysful Glamour’s campaign. Greysful Glamour was a strong winner of the Oaks Trial on September 26 when she stepped up to 1800m for the first time and Newnham is confident the filly will have no trouble going up in distance again on Saturday. “She has given every indication she will run a trip and the best three runs of her life have been her two starts over a mile and her win over 1800 metres the other day,” Newnham said. Greysful Glamour returned home to Sydney after her Flemington win and is scheduled to travel to Melbourne again on Wednesday night. “I gave her a trial at Warwick Farm last Monday and her trial was fantastic,” Newnham said. “It was just enough to keep her ticking over and (jockey) Tim Clark was happy with her. The Ethereal Stakes has 20 nominations with all the fillies on the limit of 55kg except for the Lindsay Park-trained Futooh who has 56.5kg. Acceptances are taken on Wednesday. The nominations also include the Darren Weir-trained Verry Elleegant who is equal favourite for the Oaks at $5 alongside Thousand Guineas-winning stablemate Amphitrite. Greysful Glamour is on the second line of Oaks betting at $9 and has been aimed at the Oaks since she came back into work this campaign. “I thought she would be an ideal VRC Oaks type on what she had shown me last preparation,” Newnham said.